The 54th Biswa Ijtema, one of the largest Muslim congregations in the world, will be held from February 15 to 18 in two phases on the bank of river Turag at Tongi in Gazipur. A follow up meeting on overall preparations of the 54th Biswa Ijtema was held at the regional office of Gazipur City Corporation (GCC) at Tongi at this afternoon. 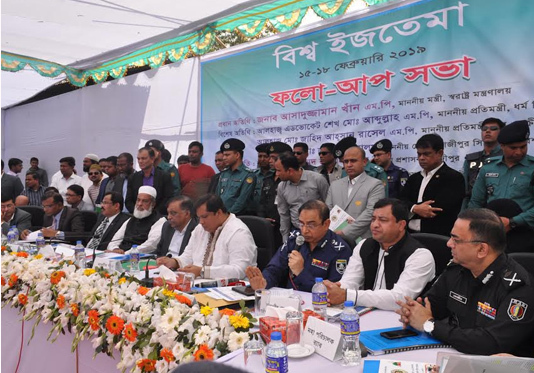 Superintendent of Police Shamsunnahar and delegations of the Tablig Jamaat, among others, attended the meeting.